The Mesmerizing Rhythm of Sundance Channel’s "Rectify"
Television is so often about questions with only one answer. Who committed the crime? Who will get the girl? Who ascends to the seat of power? The Sundance Channel’s brilliant “Rectify,” returning tonight, June 19, 2014 for a 10-episode second chapter to its justly acclaimed first season, is a show that traffics in questions instead of resolutions. Creator Ray McKinnon and his team have crafted a program that feels more like an independent film than a network offering in the way its rhythms and purpose defy simple categorization. On one hand, there’s a mystery and a narrative that could lend itself to melodrama. However, the team behind “Rectify,” and the talented cast in front of the camera, are more interested in the elements of fiction too often ignored by the medium: unspoken motives, inner conflict, and even existentialism. I’m increasingly attracted to programs that defy simple categorization in our two-party system of comedy/drama when it comes to fictional TV. And while “Rectify” may rightly be called a drama, it doesn’t feel like any other. The log line is deceptively simple: A former death row inmate named Daniel Holden (Aden Young), who may have been wrongly convicted, comes home. In the first season, Daniel struggled to assimilate back into society, often conveying the attitude and naïvete of a teenager. He was an adolescent stuck in the time in which his life was forever altered. Those around him struggled along the spectrum of support and apprehension, including loving-but-uncertain sister Amantha (the amazing Abigail Spencer), Daniel’s suspicious stepbrother Ted Jr. (Clayne Crawford), and the woman to whom Daniel seemed most drawn, Ted Jr.’s religious wife Tawney (Adelaide Clemens). Locals were equally torn over Daniel’s return and the end of the first season saw Daniel beaten nearly to death. 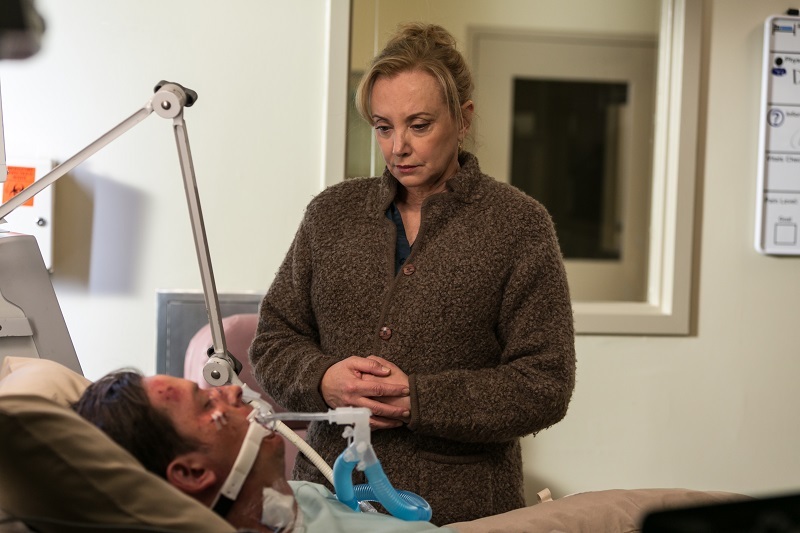 In the season premiere, “Running with the Bull,” Daniel spends the episode in a limbo state between life and death, hovering there as he lies in a coma in the real world. Daniel converses with Kerwin Whitman (Johnny Ray Gill), who we learned last season through flashbacks was a death row inmate he befriended, and the two discuss whether or not Daniel wants to return to the land of the living. It’s a tough construct to pull off without sounding overwritten, and there are passages of it that do feel scripted. However, “Rectify” is a show that earns its philosophical conversations through the context of its situations. Aiden is a man-child dealing with the feelings that most of us processed in adolescence and our 20s in one week. And that’s another brilliant construct of “Rectify.” It’s revealed in the second-season premiere that Aiden has only been out of jail a week when he’s put back in a coma. And, of course, the show picks up there this year. We’re often accustomed to programs that leap forward through large chunks of time but “Rectify” is a methodical piece about conversations and moments more than a sprawling narrative. Episodes often take place over only a couple of hours, allowing focus on character more than a driving plot. The ensemble of “Rectify” lives up to the inherent challenge of that structure. Young has a haunted, tragic story behind his eyes, one that we’re only getting piece by piece through the show’s common use of flashbacks but that we sense the actor already knows. J. Smith-Cameron and Clayne Crawford are very good but the show belongs to Clemens and Spencer. The former imbues the ultra-religious and tragically-monikered Tawney Talbot with the kind of uncertainty that drew Daniel to her in the first place. She doesn’t judge but even she seems to know that her religious platitudes may not be enough for this beaten man. And then there’s Abigail Spencer, an actress incapable of hitting a false note who gave one of my favorite performances of 2013 and has already done so for 2014 in only the first three episodes of this year. 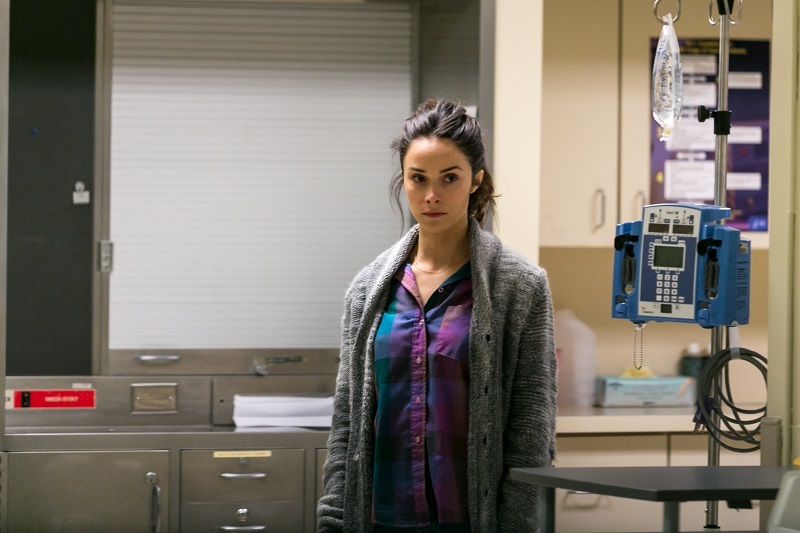 Is it possible that ten episodes is too many for “Rectify”? There are times over the first three where I felt a bit of wheel-spinning, although I think that can be attributed to the fact that this may be a show better spread out than binged. It’s a show that takes its time to get from point A to point B, and realizes that the journey, however slow it may be for all of us, is the most important part.